Hair: Fleeting by Stealthic for Kustom9. Top: The cutieberry – Cardigan & top by Blueberry. Bottom: Frank jeans by Blueberry. Shoes: Frank boots by Blueberry. Glasses: Savant specs by REBELLION. Nails: Candystuff mesh nail by Slackgirl for Blush. Holding: Poison flowers gacha – Peach flower w/ hold pose by Loki for Blush. Haunted eyes by Anatomy for Blush. Sofa: Snuggle armchair (violet) by Merak ---. 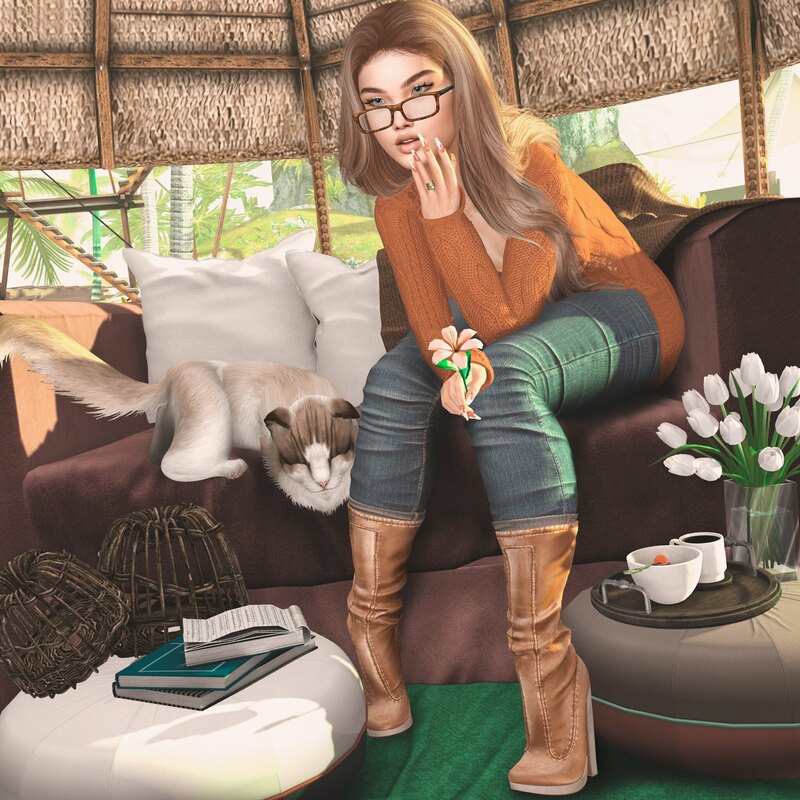 Poufs: Linnea pouffe by ILAYA for Fameshed GO. Linnea rug by ILAYA for Fameshed GO. Books clutter by Merak ---. Tray with cups: Breakfast time by Merak ---. Pet: Ragdoll cat snoozing by Jian.